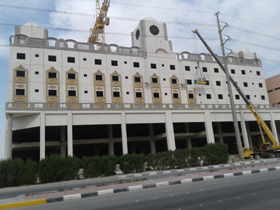 Alfanar Building Systems, a division of the Alfanar Group, is focused in the field of Precast manufacturing business in the Kingdom of Saudi Arabia. Alfanar Building Systems is a Saudi company specialised in design, manufacturing, delivery and installation of a wide range of high quality precast concrete structures. The Alfanar complex is set up on 242,000 square metres of land at Al Fouzan Industrial city, 10km off Exit 18 of the eastern ring road in Riyadh. 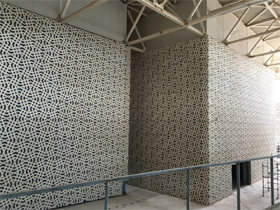 The Company's instant success is the result of its determination in applying the best industrial practices and as a matter of fact, it has also invested substantially in its state of the art precast factory, engineering staff and design facilities. Alfanar's factory has been visited and appreciated by various higher officials, senior engineers from Clients / Owners, Main Consultant Offices and Main Contractors. 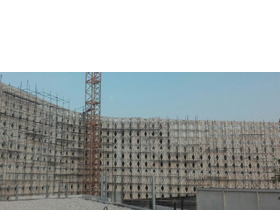 Alfanar Precast has succesfully supplied and installed Precast Concrete structures for prestigious and large projects and signed Precast Concrete Contracts with main Contractors and owners Kingdom wide. The precast structures manufactured by Alfanar conform to various national, as well as international, standards. The company has obtained ISO 9001:2008 and saudi Aramco certification. Alfanar Precast has received qualifications from SABIC, Royal Commission for Jubail & Yanbu, Saudi Electric Company and many other important Organisations. In early June 2011, Alfanar GRC has started production of GRC products. The other factories that will be established in Alfanar complex including Ready Mix Concrete, Central Batching Plant, Post-tensioned Concrete Facility. There is also a transportation fleet along with these factories to deliver the products promptly to the respective Customers all over the Kingdom.